With Tennessee’s search for an offensive coordinator hitting a delay due to some “hurdles” in hiring former Ole Miss head coach Hugh Freeze, Vol fans have begun to wonder if UT is starting to look elsewhere for a hire. Some have pondered whether or not Tennessee would promote from within for their OC position if Freeze isn’t hired. According to Austin Price of Volquest, that won’t be the path Tennessee takes. Price appeared on The Swain Event sports talk show on Tuesday morning, and he offered up his thoughts on the Vols’ search for an offensive coordinator. And he said pretty matter-of-factly that UT won’t consider hiring from within for their offensive coordinator job. There was discussion among Vol fans and media alike of the possibility of head coach Jeremy Pruitt electing to promote someone on his staff to be the offensive coordinator rather than looking outside the program. Offensive line coach Will Friend and running backs coach Chris Weinke were the two coaches getting the most talk in that regard. But Price says nobody on Tennessee’s current staff will be who ultimately gets the OC job at UT. Hugh Freeze has been the most talked-about name in Tennessee’s search for an offensive coordinator, but there’s been some reported pushback on that potential hire. With his status up in the air, where could Tennessee head coach Jeremy Pruitt turn if Freeze isn’t the choice? Price mentioned coaches such as Josh Heupel at UCF, Lincoln Riley at Oklahoma, and Tom Herman at Texas as examples of innovative offensive minds who are currently head coaches. Hiring away an active head coach at a higher level program to be an offensive coordinator isn’t going to happen. So where does Pruitt look? Even if Freeze isn’t who ends up being Tennessee’s offensive coordinator, Price believes that all the uncertainty around UT’s search won’t drive away any recruits. In fact, Price states that Pruitt doesn’t have to rush things and should be able to take his time if Freeze doesn’t end up on staff. 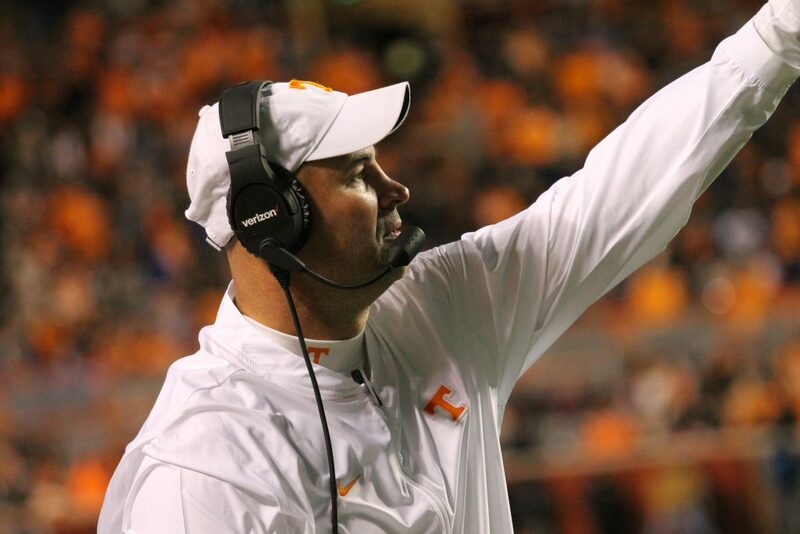 For Tennessee, it’s better to be safe than sorry with any hire they make in football. Freeze has a proven track record as a play-caller, but he has a lot of baggage in his past as well. If UT is afraid that something in his past could come back to get the university in trouble, then they’re well served to be extra cautious about hiring him. Regardless of who ends up being Tennessee’s next offensive coordinator, it doesn’t look like it will be someone who is already on staff under Pruitt.